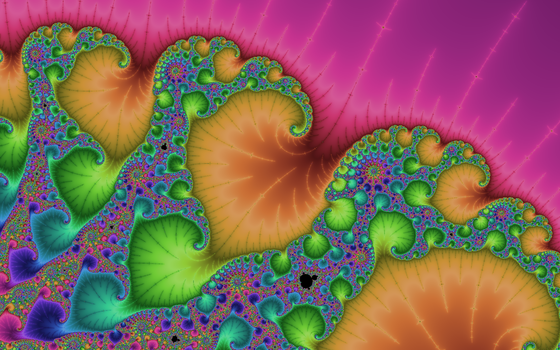 I’ve posted Aptus 1.5, the latest version of my Mandelbrot creator. New features include continuous coloring, arbitrary rotations, and more palette-tweaking controls. Oops, yes! In fact, I misspelled 'arbitrary' in two different ways, one on the blog post, and one on the Aptus page. Thanks for pointing it out.